There’s a brass board at just about every mine in the world and every morning, every miner must face it before entering the mine. They must take their identifying tags and move one to the line reading “in,” while fastening the other securely to their body. It’s an old-fashioned system addressing the worst-case scenarios of the job: at the end of the day a way to know if a miner is still below or, in case of emergency, to identify a body killed in the course of performing one of the world’s most dangerous jobs. Although these days, and in this country, accidents are rare and fatalities rarer still (in the last five years there have been two fatalities in Colorado mines). Nonetheless, there is an ever-present gravity in a daily miner’s task, one that they’re accustomed to confronting at the start and end of each day. With the ID tags attended to, the hard rock gold miners at Bates Hunter are now ready to enter the shaft, ready to travel down hundreds of feet of granite into the dark, one rickety ladder step at a time. Built from aged two-by-fours, the ladders are damp with the moisture in the slowly dewatering mine and are slippery to the touch. They warn against relying on the rungs (“you can trust the wood but not the iron nails”), but there’s no real way to avoid them entirely; best to step on them gingerly, maintain three points of contact and hold on to the side rails as you go down the aged shafts built over 100 years ago. Read all of, A Return to Legacy, here. Covered by the New York Times, the politics of their resignation quickly embroiled the situation as both sides, heavily guarded by lawyers, jostled for position in a battle of he said/she said. The leadership of BMoCA contests they did all they could to support under-performing employees whose departure they attribute to their disgruntled states of mind. The former employees beg to differ, alleging they had no choice but to vacate their positions, accusing Executive Director David Dadone of fostering a toxic work environment that impinged upon the nonprofit’s ability to carry out its mission. The Board, they allege, essentially turned a blind eye. Some aspects of the walkout will forever be relegated to institutional drama. Some questions will remain unanswered. But the mass resignation draws attention to a larger question in Boulder’s art scene at a time when the City is making historically large investments in the arts: Who should get the money? Find out more in Yet to Be Decided. A giant picture of a 9-year-old kid is projected onto the east wall of Denver’s flagship REI. He’s wearing a backwards hat, a popped collar and a smug look on his face, the word “Phresh” scrawled across the screen in ’90s Nintendo-style font. College freshman Ani Yahzid stands just below it, in front of a room full of outdoor recreation professionals working to increase diversity in the outdoors. Turning to face the crowd he says, “That’s me, 10 years ago, and back then there were three things I thought were cool: whatever my friends thought was cool, whatever my friends did and Lil’ Wayne. So, I’m curious, as a group of people here because you want to get kids like that outdoors, what would you do to make it happen?” Find out what Yahzid is doing about it in Nature is Already Cool. Richard Anthes reminisces about a time when science wasn’t a contentious issue for political debate, but simply a pursuit of enlightenment, a curiosity about the world around us. Read April is for Marches, my article about the March for Science and People’s Climate March, HERE. While it appears the Trump administration is paving the way for a return to criminalization, at least to some degree, there is a strong and growing sense on the ground in states with legalized marijuana that the “law and order” scheme is outdated, irrelevant and would be ineffective under current circumstances. Read about the ongoing turbulence between state’s rights and federal prohibition in my latest article for Boulder Weekly Land of Indecision. 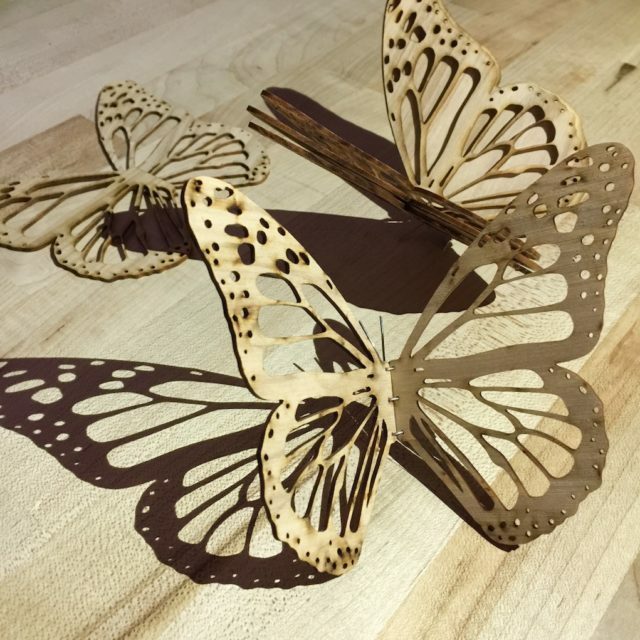 My article Metamorphosis takes an in-depth look at a Boulder City sponsored social venture that trains homeless adults to make art out of trees felled by the endemic Emerald Ash Borer. Read more HERE. In Colorado, off-grid housing predates the sustainability movement existing as a reality of mountain living. Over time, various self-sufficient shelters were built on the vast Western landscape — like ski huts far in the backcountry, hunting lodges in hidden forests and humble adobe huts at the end of long dirt roads. While many a Colorado family has or knows someone who has an off-grid property, few people live in these homes all year round — whether due to the seasonality of access or the practicalities of modern living, many off-grid properties are second homes. It wasn’t until the rise of Airbnb that there was a way to both increase use and monetize these properties, and it wasn’t until June that Sarah and Jason Stillman opened Freehouse, a locally owned and operated online off-grid vacation rental company. Read the full article The Rise of Off-Grid Vacation Rentals, HERE. Margo Hayes is 18 years old. Having graduated high school in May of this year, she is in the process of stepping from one stage to the next — from kid to adult, high school to college, youth champion to professional climber. Like many people in a transition period, she is frequently asked about what is next. But wise beyond her years, Hayes resists offering an easy answer. Read my July story for Boulder Weekly, Rocking the gap year. Last April I went to New York to attend the United Nations General Assembly Special Session on Drug Policy where I got an in-depth look at the international treaties that give backbone to the “war on drugs” and how they are being challenged by countries and states across the globe. My article, Crossing the Threshold, examines Colorado’s role in sparking change and forcing the conversation about ending international prohibition and considers possible paths forward in that endeavor. How we handle global legalization that threatens to end the war on drugs will ultimately determine if we are on the verge of a “rupture” or a “repair” of the global political system. Either way, Colorado voters will have played a key role in the outcome. In 2016 could be the year for industrial hemp I take a look at legislation being introduced in the Congress to move forward with national legalization of industrial hemp. In the name of freedom tells the story of the struggle of wild horses in the West – a patchwork of private and public land that cannot support growing horse populations in tandem with cattle grazing and other industrial uses. With photographer Carol Walker as our guide, follow the plight of one family of horses as they are captured, cataloged by the Bureau of Land Management and ultimately brought to a sanctuary by a dedicated group of activists.